This modern Villa for Sale in Ovacik is the perfect villa for either a residential home or as a holiday villa. 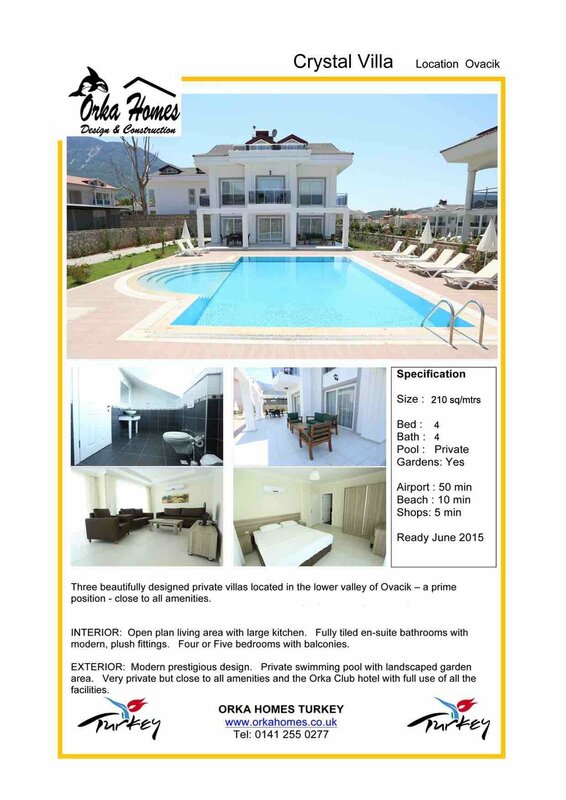 Located on the edge of Ovacik town which is a quiet area but yet only a few minutes walk to the nearest shop, restaurants and supermarkets or a 5 min taxi ride to the livelier Hisaronu village and with Fethiye town only a short bus ride away. 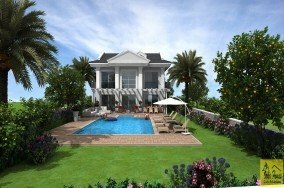 The villa ia built over 3 levels on a large plot with the open plan lounge area on the ground floor over looking the swimming pool and enclosed gardens. There is a downstairs W/C and large heat reflective windows allowing the sunshine in but keeping the villa cool at the same time. Up stairs on both floors you will find 4 large double bedrooms all with en-suite facilities and dressing areas. The two bedrooms on the middle floor have their own separate balconies for relaxing with your morning coffee. This is a beautiful villa in Fethiye for sale which you will love forever.